Heel pain can be caused by a number of factors and activities, and is experienced by both athletes and inactive individuals alike. Stretches to the lower leg and ice application to the painful area are important and help manage symptoms, but neither address or alleviate the underlying reasons for recurring pain. Often, the cause of heel pain is not isolated to the foot; muscle weakness or abnormalities in the torso, hip, and legs can precipitate heel pain. 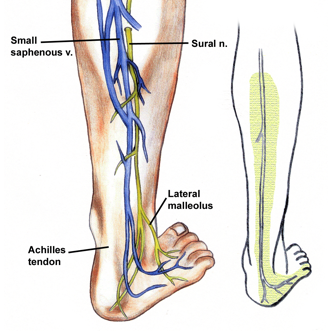 Physical therapists use traditional methods to address inflammation and pain while also looking beyond the foot to fix the cause of persistent heel pain. 1. Nervous system: The spinal column houses the spinal cord and nerves branch and exit the column through the structure of the vertebrae. If the nerve becomes irritated, it may lead to hypersensitivity and pain in the part of the body it innervates. The physical therapist may work on lower back stability to improve heel pain. 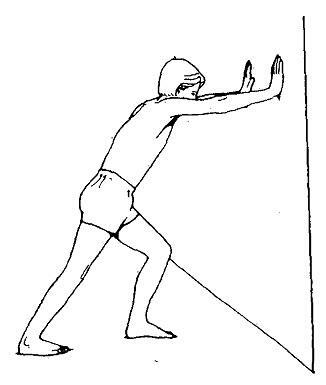 oper posture position can put excess weight into the heel. Correcting standing posture both in the lower back and knee realigns the weight, allowing the entire foot to support the body. 3. Gait training: Related to inefficient posture, gait dysfunction can cause or aggravate heel pain. Furthermore, poor posture can make it difficult to activate muscles, like the glutes and hamstrings, that work during walking. 4. Balance: Balance issues on the opposite foot can increase stress on the painful foot, and continued reliance on the painful side prevents timely healing. Physical therapists can incorporate progressive balance exercises to resolve pain. The earlier a physical therapists assesses your heel pain, the better! The symptoms can be resolved sooner - therapy for recent heel pain can usually resolve in 8-10 sessions, versus 15+ for chronic problems.